S aturday January 17, 2015, marked the 42nd anniversary of the U.S. Supreme Court’s tragic Roe v. Wade decision of January 22, 1973, which made abortion available on demand in America through all 9 months of pregnancy. A decision that since then has led to the death of over 56 million unborn children. 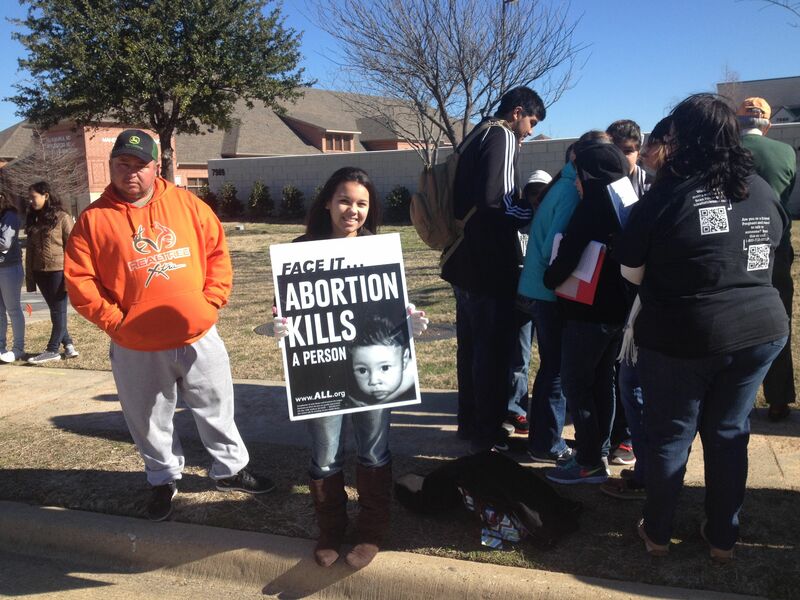 A prayer vigil was held in front of the Planned Parenthood mega abortion clinic at 7989 West Virginia, off Wheatland Rd in Dallas. The clinic was closed for business today despite the fact that on Saturdays it usually performs about 35-40 abortions. There were at least 150 people who came to pray to kick-off their day-long activities planned for the Roe v Wade Memorial day in downtown Dallas. Most of the participants were enthusiastic young Catholics who engaged in peaceful demonstration and prayed the rosary. Present from our council and charged with directing traffic at the abortion clinic were Pro Life Director Michael Moloughney and Jorge Ruiz. 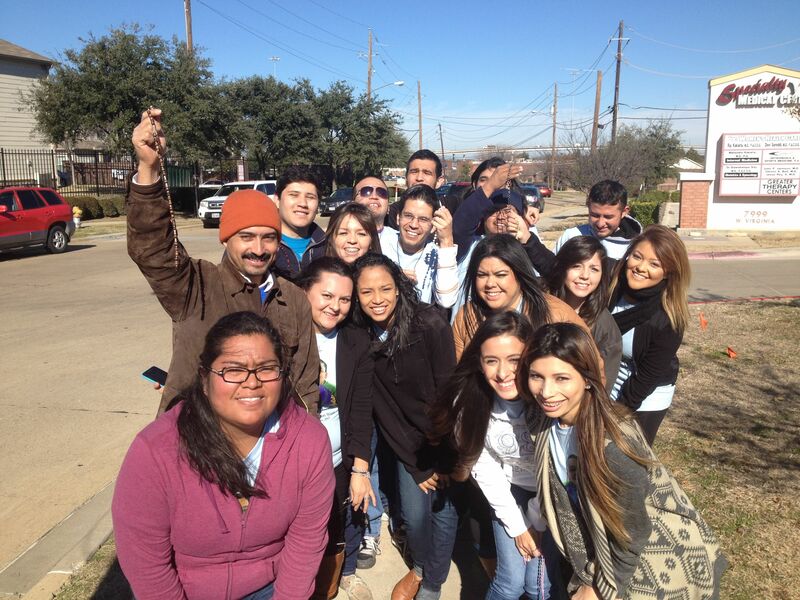 Afterwards they went to downtown Dallas to the Convention Center for the plethora of activities planned there which included a youth concert, a mass led by the bishops and diocesan clergy and the state’s largest Pro Life march and rally which ended outside the Earle Cabell Federal Courthouse, housing the district court where the Roe v. Wade case was first filed in 1970. The rally was attended by approximately 10,000 people.